Colors are the most important and essential parts of any design. Colour plays a significant role in people’s way of leaving. Even after the birth of a child boys received blue or green colors dress whereas girls received the pink dress. So while choosing a color for Pantone Formula Guide Solid Colors Coated the designer by Design Info must keep it mind that colors not only depicts only outside texture it also represents an inner sense of each product. While using colors for a product the designer believes it must represent the mood of that product. Say for example Red relates to romances. It also stands for danger or strength. If a designer chooses the color to blue its stand for trust stability and confidence. This is the reason blue is the most common color code for many Banks. Yellow is the color of hope and happiness. This is the reason why all smileys are yellow. White is for softness purity and peace, orange for joy and creativity, green for life and so on. Although designers have only three primary colors red, yellow and blue they can mix these and create a different type of shades for a different product. They can create many secondary colors by mixing two primary colors. The people from Design Info can create many others colors like warm colors, cold colors, neutral colors, strong colors, pale colors and so on just to catch the mood of any Panton product. Colors are a part of everyday life. It will affect all the senses sight environment and even communication. Colour is used for various types of visual communication system. Delhi Metro is using various color coding like blue line, yellow line, the violet line just to make easy to its commuters. Indian Railways was also using red for all the Rajdhani Express just to identify it. Similarly, color coding for the signal system and Zebra crossing is a very old and traditional system everywhere. In various city’s Yellow taxi stands for the public transport system. Colour coding for a political party is a very old tradition. Like in India red color is for Left party, Green is reserved for Congress and saffron is for BJP. The same system is there in the UK also. Red for labor party blue for the conservative party and so on. If the designer is designing a site that is specific links to any religion he must understand some color coding for that particular religion. Green is considered the holy color for Islam, white is linked to peace in many religion, and saffron is a common color for many Hindu religion. The designer must understand the significance of color in a different culture. The Same color stands for a different meaning in different places. In Western culture, black stands for mourning whereas in Japan it stands for honor. In western country, people wear white during marriage ceremony where as in India white is used for death ceremony. So designer must be aware of the cultural significance of color while designing. Nowadays entertainment industry is using the color and 3D graphics as their main tool. For a graphic designer, the main tool is color. How to make things more interesting, more attractive all depends upon the combination of color. So colors are very important in our lives and it’s direct influences our well being and mood. The designer is always extra cautious about the fact that color is the first impression of any product. So the color design of any product must be in such a way that will attract the people at first sight. Keeping this mind the designer of Pantone is using rather we can say playing with this colors just to create the world that’s full of colors. Without colors, the world could not be imagined. It could not even be black and white since black and white are also colors! So updated with the latest trends in the colors then definitely Textile Design Studio will help you. Such a colorful post. Color is live. I love the way you put color and its significance. I beleive even the emotions do have colours. Whats life without colors.. Be it any day. They are instant mood bossters..
A different post indeed. But as you pointed colour can make us feel moody and elated. My mind often feels fresh when I see anything in white. Colors truly influence our life. Yes, colours do play an important role in our lives. We associate so many colours with so many things in life! I loved your post because of how well you have explained everything in it! Life will be so bland without colors! Beautiful thought provoking post this is. I so agree! Colors are important--I know I always admire it when gorgeous colors are at play. I'm a therapist and will sometimes use color theory with the people I work with! It offers a lot of interesting insight. This is beautiful, colors ae amazing. I'm a graphic designer so I studied color theory for a while, it's very important in our lives and influences us so much. Colors are associated with everything. In the US, colors play a big role in political parties as you mentioned. Some have a more calming effect and others a more exciting one. Colors pay such an important role. I learned about Pantone colors just a few years ago. Great post! Color does influence our lives, just wearing certian color make my mood change from sad to happy or from bad to good. Recognizing the right color for branding affects the customers' emotion. Yellow makes mist happy, red and orange makes you hungry or be aware, and green makes you feel eco-friendly. 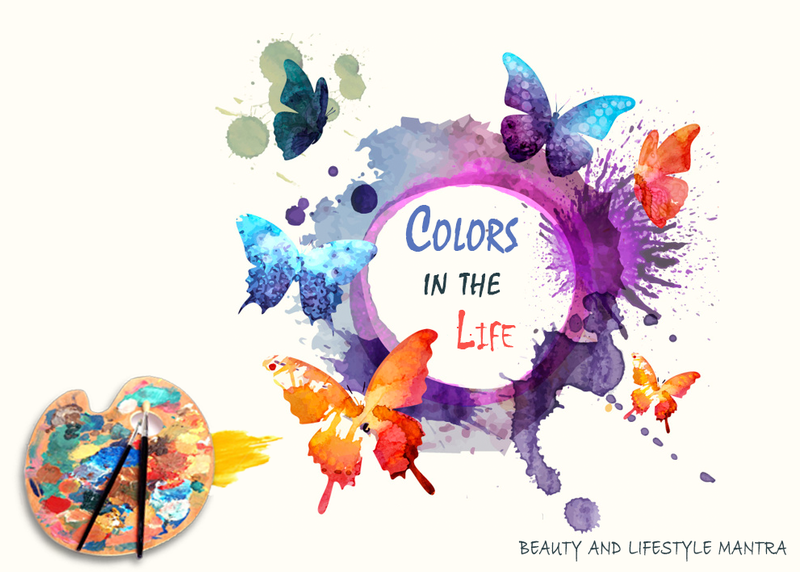 Color makes our life more lively, and I couldn't imagine life without it. When you know how to use your color palette you can make everything look fabulous. I had no idea that colors translated to so many different things. Very interesting read!